Being a customer oriented organization, we are highly engaged in providing a wide range of Dry Cat Fish. We Deal in also Export inquiry. We offer an attractive range of glass cat fishes, which are sourced from best reserves to ensure good health and long life. Glass cat fishes are one of the most preferred choices of clients, owing to vibrant color combination, glossy finish and attractiveness. whole round, head on cleaned gutted, head less cleaned and sliced. 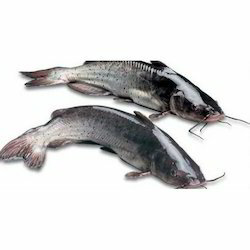 We bring forth an extensive range of Aquarium Catfish. These fishes are strong with hollow, beneficed leading spine-like ray on their dorsal and pectoral fins. These spines are used for their defense as they stick outwards and can inflict severe wounds to their attacker. These features attract the attention of pet lovers and are widely availed by clients across the nation. Good breed Magur 15 days old onwards which are ready to pack in oxygen packet in a very comfortable way.